According to the Charlotte Knights News article, fans will have a chance to meet Bucky Dent when the gates open at 6:00 p.m. before the game against the Columbus Clippers. Fans are encouraged to arrive early. Admission tickets are required. 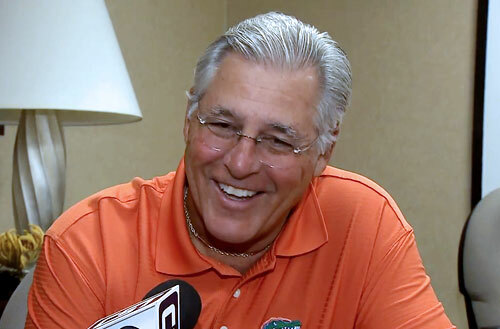 Bucky Dent is a retired MLB shortstop and former manager who played for the Chicago White Sox from 1973–1976, the New York Yankees from 1977–1982, the Texas Rangers from 1982–1983 and the Kansas City Royals in 1984. After his playing career Bucky Dent was manager of the New York Yankees from 1989–1990. Dent is a two-time World Series champion for 1977 and 1978 plus World Series MVP for 1978. Dent also is is a three-time All-Star for 1975, 1980 and 1981.